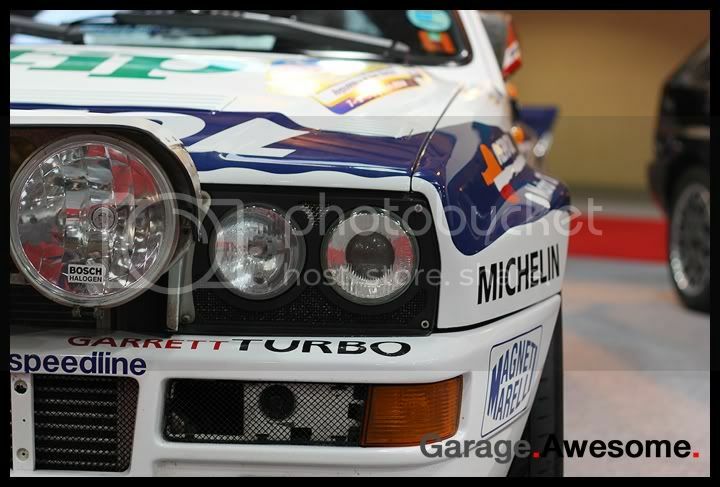 EVENT: Race Retro Show – Stoneleigh Park « Garage.Awesome. Last month saw Garage Awesome head out to the Autosport Show at the NEC, a place where the motorsport world shows off all its new innovations, championships, cars and accessories as well as live action events to accompany it. This weekend however, it was the turn of the motorsport world to show off the ancestry of the modern cars and championships as we headed to Stoneleigh Park, Warwickshire for the Race Retro Show. The two shows share quite a few similarities; a network of halls littered with trade stands, exhibitors and manufacturers all fighting to promote their latest products, new and old. On top of that you have plenty of things to buy or information to read from the many bookstalls or flyers that are thrust into you path as you walk through the exhibitions. 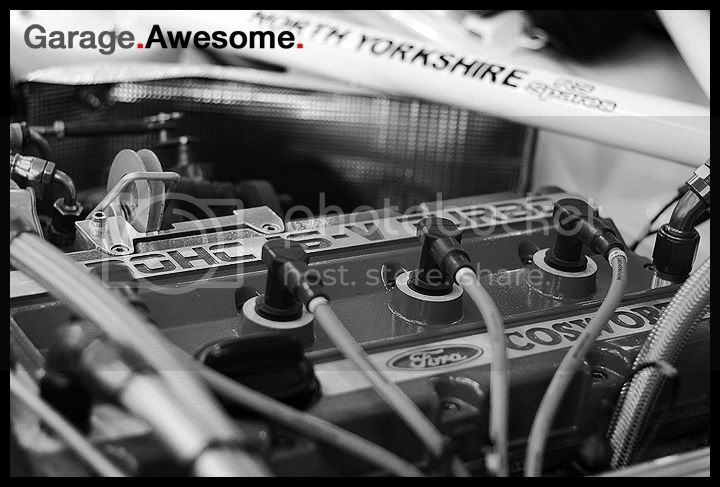 With this being the Race Retro show of course, everything that was being displayed was from a bygone era and with the average age of the visitors being about 3 times that of the Garage Awesome team the trade stands were largely irrelevant to us as customers, but nonetheless we found them highly interesting as motorsport enthusiasts. Lots of the displays involved “retro” clothing, including race-suits and helmets that are authentic to pre and post war dates. Stands displaying goggles replaced the helmet and visor technology you see today and most importantly the cars and parts on display all represented the mid 20th century, with carburettors instead of engine management systems, wire wheels instead of alloys and manufacturers like Lancia instead of Nissan, Ford or Vauxhall. The things that caught our attention inside have to be mentioned, the fabulous display of ex Works and replica Lancia’s was stunning with the S4, Delta Integrale and Stratos all available for us to have a nosey round. MK2 Escorts were plentiful and all in stunning condition despite us having no doubt that they were built to be used on the tarmac and in the forest stages. It’s no shock that we’re not massive Formula 1 fans, but the bygone era of Formula 1 is almost entirely unrecognisable from what you see on the TV today, masses of horsepower, little to no electronics to help the driver out, crazy wings and splitters to aid with the downforce and the sheer danger factor due to the almost non-existent safety regulations made these cars ones to look round! Some of the more familiar cars to us were also on display and already have cult status in our generation, the RS owners club had an amazing Sierra Cosworth, we spotted a touring car spec E30 BMW M3 and Fiat Abarth had a selection of both road and race spec Fiat 500s. 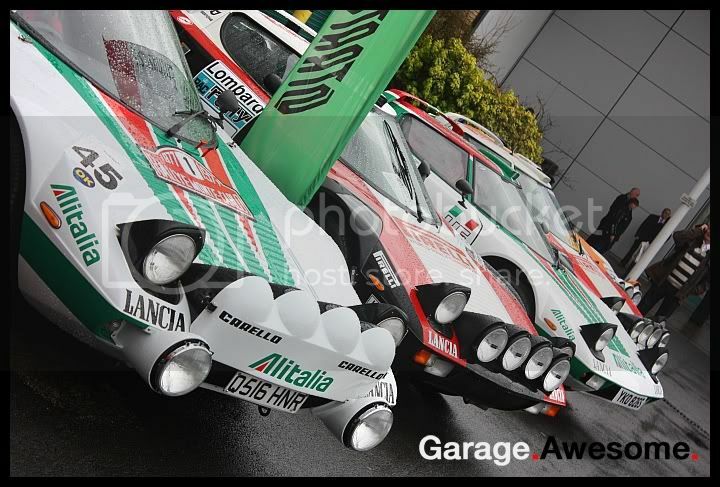 It was outside though, in the rain and the mud… and even a little bit of sunshine, that we found what we were looking for; the Group B rally cars! With some of the most iconic cars ever to be driven on rally stages around the world all gathered in one place was really exciting for us and then for the added bonus of them being driven around a mile ‘stage’ was something else, the noise, the raw power and the look of these rallying giants was worth every penny we spent getting to the show! It really was amazing to see, in fact we have decided to dedicate a separate post to the outside action, so take in the pictures from the static show and check back here anytime after midnight to see and hear about the action from the live arena.